How Can I Go A Caring Dental Group? Where is A Caring Dental Group in Cleveland on the Map? This location has 22 reviews from customers. Dr. Kim and his staff are top rate. I can't think of anything negative about this office. I have been going to see A Caring Dental for almost 10 years now. My previous dentist (Today's Dentistry in Brooklyn OH) screwed up my teeth so bad.....he just wanted my money and I was in my early 20's and didn't know better. After being drilled to death a friend recommended Dr. Kim to me and I have never gone anywhere else. If nothing is broken, don't fix it, which is exactly what I want done for my teeth. I have been 'blessed' with terrible teeth. I take care of them - brush 2x day, floss, mouthwash - and still got cavities. Thankfully they are all taken care of now, but I can honestly say I will never consider going to another dentist. My family of 6 all see him and I am 100% pleased with my service. Also, Dr. Kim is not so arrogant that he feels that only he can preform significant tasks. When I was pregnant, one of my back teeth completely broke in half - it came out on a piece of ginger chew candy I was eating to help with my morning sickness. Instead of doing the root canal himself - he sent me to a specialist since I was pregnant and he didn't want to risk anything going wrong. That impressed me significantly - and the issue was handled promptly. If you are looking for a dentist, look no further. This is the best office in the greater Cleveland area! I was very nervous about having my upper teeth extracted and getting a upper denture. It's been 3 weeks now and I have to say it was nothing to worry about. Dr. Kim went over everything with me from the cost of the procedure and what to expect in the following days and weeks. I have to say it didn't hurt at all and I am so happy that I got this done. Dr. Kim and his staff are always asking you if your having any pain and ready to answer any questions you may have. If your sitting there in fear of the dentist do yourself a favor and go see Dr. Kim he is awesome!!! 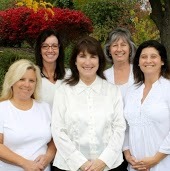 I have been a patient for over 12 years and am very happy with my experiences at A Caring Dental Group over the years. The staff is friendly, knowledgeable and gentle! Dr. Kim's clinical knowledge is unbeatable and his kindness and patience with the individual's needs goes above and beyond our expectations. He will make sure you are comfortable and understand what will be done. 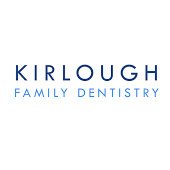 I highly recommend Dr. Kim and am grateful to have a dentist that I can trust! I had a great experience here! Ashley gives a great, thorough and most importantly gentle cleaning! Dr Ahmed did some work for me and she was wonderful too. The front staff is always smiling (Gina is so kind!) and the back staff is extremely personable as well. Highly recommend Dr Kim and his staff! The staff at A Caring Dental Group are fantastic. They are very good at their jobs and are very pleasant to work with. Very professional. I have been going to Dr. Kim for eleven years and the reason I have stayed so long is that he is great and does fantastic work. I have had a couple of crowns and a rood canal over the years and have never had any problems. The crowns look so real you can't tell they are not my own teeth.